Good morning! 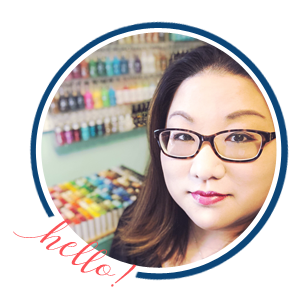 Today the 2018 catalog is now available at Hero Arts and we’re celebrating with a giant inspiration-filled blog hop! 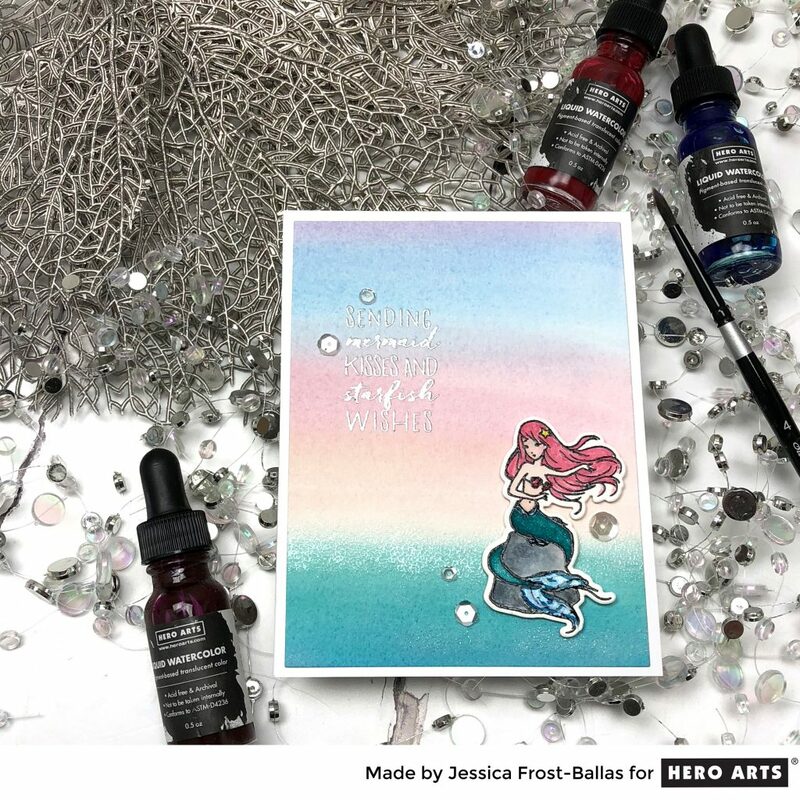 Mermaid Kisses was one of our most popular My Monthly Hero Kits ever and by popular vote we are rereleasing it!! 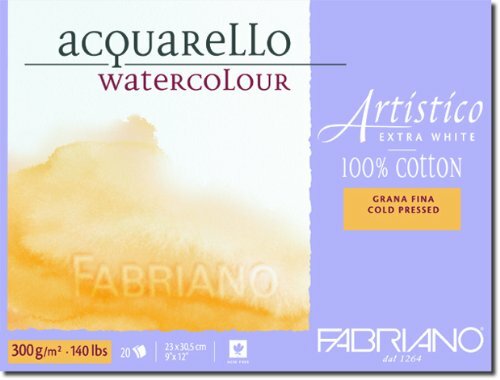 I was excited to pair it with our new beautiful liquid watercolors for a peaceful ocean scene. If you missed the kit you can finally add the gorgeous mermaid to your collection! You can watch the video below or in HD at my Youtube channel! I wanted to keep my card simple and let the watercolors speak for themselves. I also wanted to figure out a way to get a soft, more pastel look from the normally bright and bold watercolors! I added a few drops of unicorn white pigment ink reinker to the liquid watercolors and created a watercolor wash for my background. Then I added a few dabs of white pigment ink across the waterline to create seafoam and waves. I heat-embossed that with white satin pearl embossing powder for a little extra shimmer. Next I watercolored my mermaid using the same liquid watercolors but in a much more saturated form. I added a little sparkle with a spectrum noir clear glitter brush and then added a little extra shine to her tail, shells, and hair ornament with the new lacquer pen. Then I stamped the sentiment from Mermaid Kisses onto the background with versamark and heat-embossed it with silver embossing powder. I adhered my little mermaid to the card with foam mounting tape and finished it with a few sparkling clear sequins. Your next stop on the hop is the amazing Yana Smakula! Thanks so much for visiting and enjoy the hop! Hero Arts: Happy National Ice Cream Month! « Owl Always Love You! 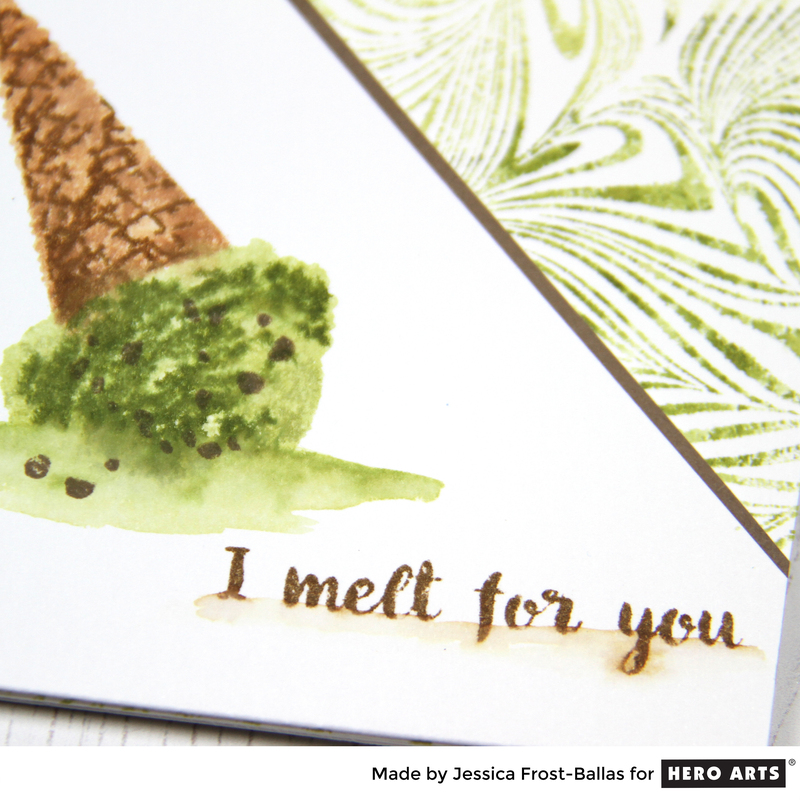 Jess, your mermaid card is just too sweet! So cute – love that background lots!! 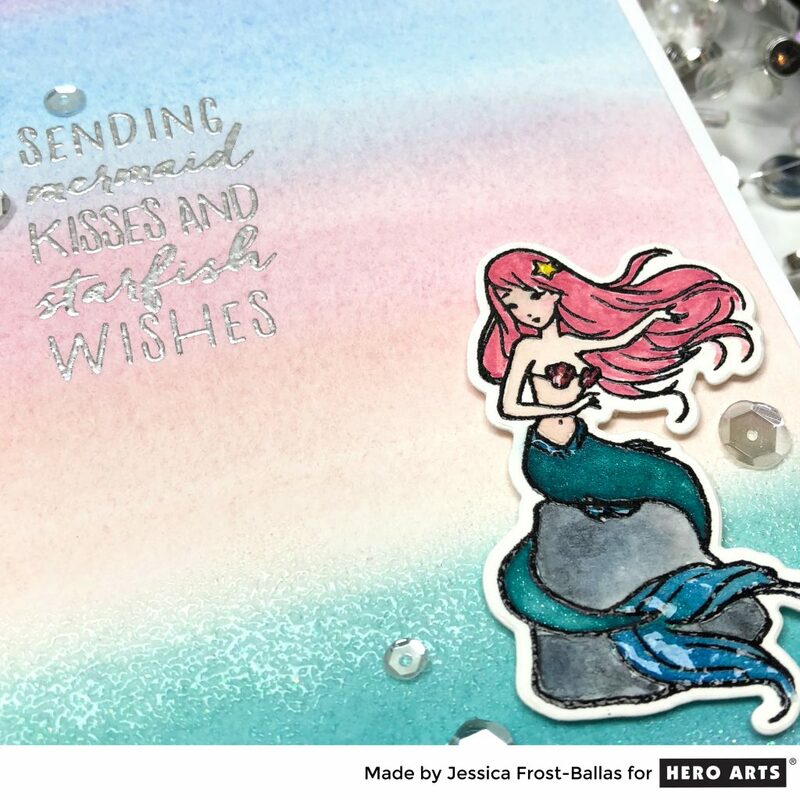 What a lovely soft mermaid card! Pretty! Beautiful blend of colors for your background. Great mermaid! So soft and elegant! Thank you it’s beautiful. 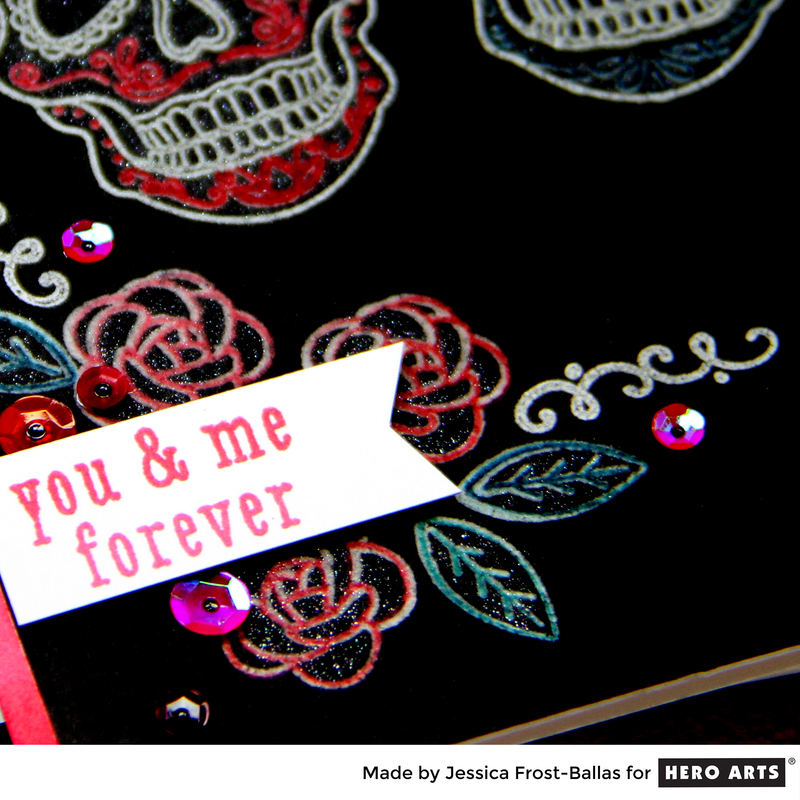 I absolutely love your card and video, Jess! Thank you for sharing! Hugs! 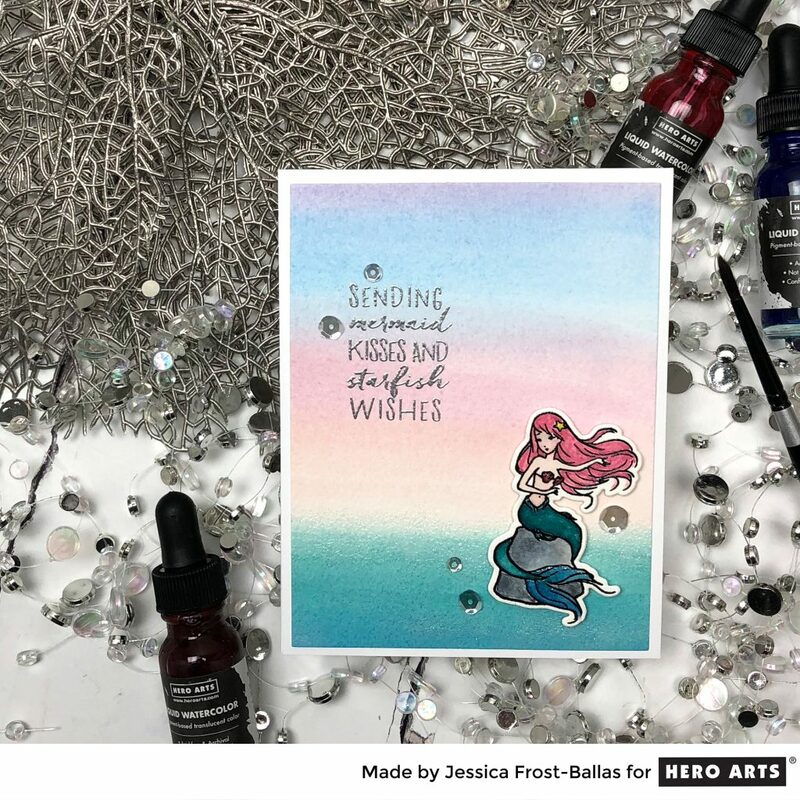 I like the color gradient of the background that highlights the mermaid and sentiment stamps from one of my most favorite HA MMH card kits ever! I’ve commented on your awesome backgrounds before. You do such an amazing job! Love the mermaid! Very cute ! thanks for the idea of using the white reinker to soften the colors – am definitely going to order these watercolors and love how you’ve used them! Love how you muted with the white! Beautiful card! Gorgeous card! The background is stunning! Lovely background! I really liked how you softened the vibrancy of the liquid watercolors. I would have never thought to add white to a watercolor. Thanks for the idea! I love this stamp set. 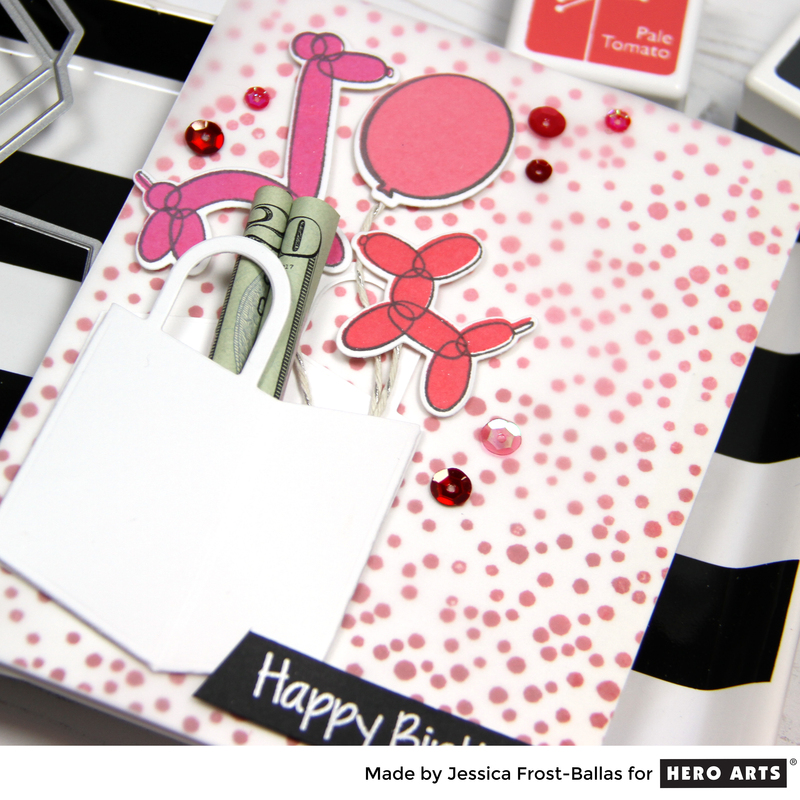 One of my favorite card kits from Hero Arts! The shimmery embossing is gorgeous. I love that you used both the very diluted colors and then the saturated colors. Thanks.